16th October, 2018 – Cairo, Egypt – The Dow Chemical Company (Dow) and The American University in Cairo (AUC) announced today the signing of a Memorandum of Understanding (MoU) to form a strategic partnership to enable research, development & demonstration projects that deliver on industrial and academic goals. The MoU will combine the industrial and technological expertise of the world’s largest chemical company with the academic research capabilities of one of the region’s most reputed institutions. The MoU was signed by Ehab Abdel-Rahman, Provost - AUC and Momen Adel, Country Manager - Dow Egypt at a ceremony on AUC’s New Cairo campus in the presence of a high-level delegation from the University as well as global and regional leaders from Dow. “AUC is proud to partner with a global chemistry leader like Dow Chemical Company. Together AUC and Dow will work to develop innovative solutions for Egypt’s infrastructure and energy efficiency needs through impactful industry-academia collaboration. 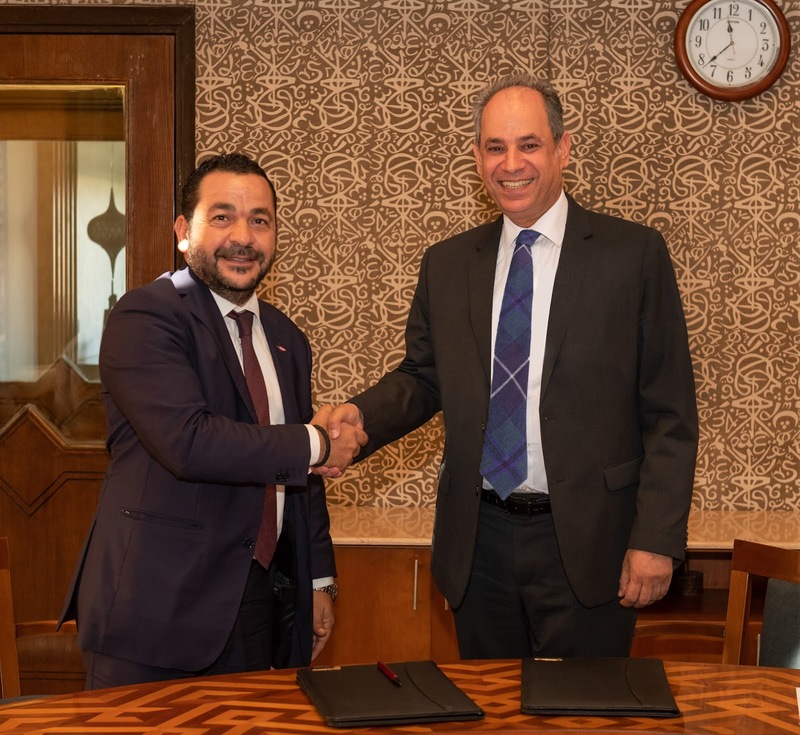 This is an example of how educational institutions and businesses can successfully cooperate for the benefit of society,” said Ehab Abdel-Rahman, AUC Provost. One of the key objectives of this strategic partnership is to undertake research and development projects that will explore how energy efficiency in buildings can be increased using globally proven technologies e.g. building insulation. These projects will seek to influence building codes in Egypt to adopt more advanced construction methods with better power savings. This strategic partnership will also provide AUC students with internships at Dow, which will give them access to experts from the chemical industry, as well as afford them invaluable “hands-on” work experience. In addition, through Dow's Educator Empowerment program, the Company will also provide AUC faculty with teacher training and professional development. With a history of more than 40 years in Egypt, Dow has established strong and enduring partnerships in the region that have resulted in the development of human capital and opportunities for knowledge exchange. In the late 90’s, Dow expanded its footprint in Egypt by setting up the first local polyurethane Systems House in Greater Cairo. Dow solutions have been utilized in a number of high-profile projects in Egypt such as the New Egyptian Museum and the Egyptian Parliament building renovations. كما تحدث د. إيهاب عبد الرحمن، عميد الجامعة الأمريكية بالقاهرة مضيفا: "تفخر الجامعة الأمريكية بالقاهرة بمشاركة شركة رائدة في صناعة الكيماويات في العالم مثل داو للكيماويات. وسوف تعمل الجامعة وداو معاً لتطوير حلول مبتكرة لتلبية احتياجات مصر من البنى التحتية وكفاءة الطاقة عبر التعاون الأكاديمي الفعّال. ويعتبر هذا مثالاً على كيفية تعاون المؤسسات الأكاديمية والشركات بشكل ناجح فيما يفيد المجتمع".